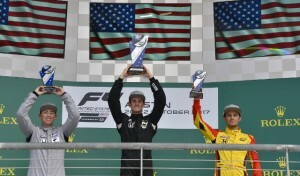 Team USA / Driver Blogs / Kyle Kirkwood: To F1 with F4! 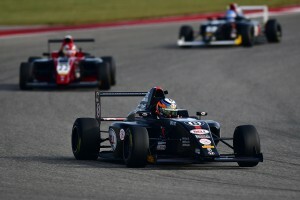 Kyle Kirkwood: To F1 with F4! JUPITER, Fla. – Hey everyone, what a year it has been. This has been by far the most successful and enjoyable season of my career so far. We started off with 40 positions of penalties — what a disappointing situation, but the setback only ignited a fire in me. Cape Motorsports and I gave it our all to get back on top, and we did just that. We came back to sweep two consecutive weekends, take nine wins, 15 podiums and nine poles throughout the season! I really couldn’t have asked for more. The F4 U.S. Championship powered by Honda drivers have been so fortunate to run in support of amazing series, including IMSA, NASCAR, Trans-Am, World Endurance Championship and even Formula 1! It has been incredible to say the least. My favorite race weekend was this past one at the Circuit of The Americas Formula 1 United States Grand Prix. It was actually my first time at an F1 event and it really blew me away! There were so many amazing opportunities and I stayed very busy the entire weekend. As soon as I arrived at the track Thursday, I could feel the magnitude of the event from the thousands of fans and hospitalities scattered throughout the giant CoTA facility. I instantly made my way to the F1 paddock to view the cars – seeing them on TV doesn’t do them ANY justice. 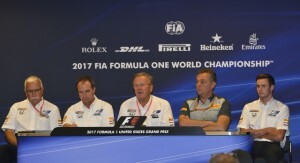 I then had the opportunity to be amongst the representatives during the launch of 2018 F3 Americas, speaking in front of many FIA members including Charlie Whiting! I typically don’t get nervous anymore but for THAT I definitely was. That night I was invited to the annual “Buxton Bash” hosted by NBCSN’s Will Buxton along with Speed City Broadcasting. This event was at a quaint open-roof club in downtown Austin. When I arrived there, the line stretched across two city blocks and around a corner. Fortunately, I was dragged in through the fans by Speed City’s own Jonathan Green. 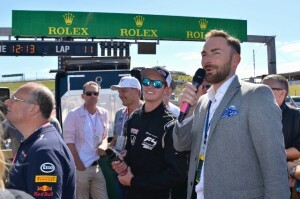 I was only expecting to socialize with the fans and the other F4 drivers who arrived, but about 30 minutes later I found myself on stage with Will Buxton addressing the crowd immediately after Santino Ferrucci, Lance Stroll and Romain Grosjean! My excitement was through the roof and, honestly, I could hardly sleep that night. Friday was our first day on track and it was time to get serious. The previous event at CoTA with WEC was a bit of a struggle and we fought to hang on to top-three finishes. Cape Motorsports and I had a whole month to analyze what we lacked and I was extremely confident with the car going into the first practice. The conditions in practice were very strange. It was wet early on and the curbs were freshly painted. We ended up just outside the top 10 but we made changes while the track was at its peak, so I was still positive we had everything right. In Qualifying our pace showed quickly when we jumped up to the top around Lap 5 and stayed there until the checkered flag came out. 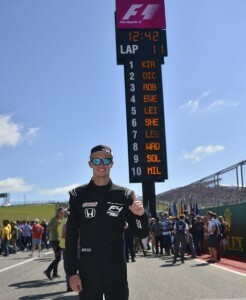 Starting on the pole for Race One, I could feel the energy from all the fans on the grid. I looked left to see Charlie Whiting, Zak Brown and Michael Andretti standing trackside with myself on the massive TV screens all around the track. This was an extremely nerve-racking moment, but as soon as the lights came on I was back in the zone. I got the jump and held the lead for over half the race. I fought off Benjamin Pedersen, who nearly swept the last event at WEC, for many laps but he snuck around the outside of me on the back straight with about five laps to go. I finished the race in P2. Luckily for us, a huge cold front came through bringing rain to create uneven track conditions for Race Two. By the time of the race, it was intermediate conditions and all the drivers were forced to run rain tires. Our setup was absolutely perfect for the conditions and I was able to get the jump from our off-pole starting spot and consistently pulled a larger gap every lap till the end. We stretched an over 10-second lead by the checkered flag! It felt amazing to take the win in front all of the F1 teams and fans just hours before the USGP. The F4 races may have been done but it was time to watch my first ever Formula 1 race. I stood in Turn Five for the start and the noise coming from the crowds in Turn One and across the track were louder than the actual cars! To add to my incredible weekend, about halfway through the race I walked down to the paddock to meet with the Speed City crew and they gave me the chance to announce the last few laps over the track audio! 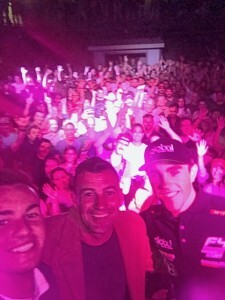 So, about 200,000 people were hearing my input on the track and strategies from a driver’s perspective. I actually announced Max Verstappen’s last-lap pass on Kimi Raikkonen for third! What a weekend to cap off the year. Huge thank-you Cape Motorsports, Firstex, Bell Helmets, Team USA Scholarship, SAFE is FAST, and my family because none of this would be possible if it wasn’t for ALL of them. Thanks for reading — I’ll keep you updated on what’s next!